A lot of the dental implant information out in the commnity is misleading or confusing. See what others are asking Sandra about implant-based tooth replacement, ask her your own questions, and download her books. Q: Does the surgery hurt? Q: I've lost all the teeth in my lower/upper jaw, and have been living with dentures for some time. What are my options for tooth replacement? Sandra: You may be suitable for an All-on-4 (Bridge –on-4) permanent denture, provided I see you have enough remaining bone or if I can create enough bone. When teeth are lost, your body stops maintaining the bone that supported them, so that over time the bone disappears. 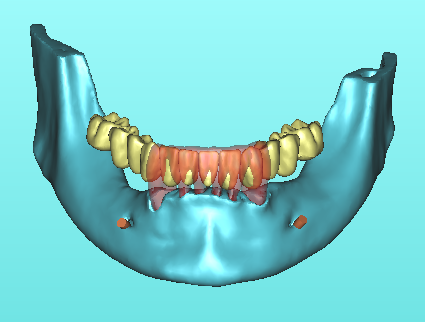 Even if your extractions were some time ago, there’s a chance you will have enough remaining bone or I can generate new bone to allow you to have implants. Once you have your implants, they will encourage and stabilise local bone growth as if they were natural teeth. If you still have your teeth but they are failing or they have just been extracted there is more likelihood that you will have the required bone to do implants. Q: Can you guarantee immediate use of my All on 4? Sandra: Not quite. In rare cases, it becomes clear during the operation that the available bone is not extensive or hard enough to give “primary stability”. We then have to hold off fitting your All on 4 bridge until enough integration has taken place, and in the meantime fit you with a denture. Q: How long until I get my missing teeth back? Sandra: In some cases, implants can be placed and are usable, with a bridge, immediately allowing chewing of soft food only. This is for cases where all the teeth in the upper or lower jaw need to be replaced. This is called an All on 4 or Bridge on 4 treatment. It’s more likely, for one tooth or a small group of teeth that you will have to wait for the bone to heal completely before we can load the fixed teeth onto the implants. This takes 4-5 months. Q: After my All on Four, will I have to follow a special diet? Sandra: Ultimately, of course, your All on Four will serve you like natural teeth. But until I am satisfied with the integration of the implants, you’ll need to build up the loads you subject them to slowly, and with care. Pureed or mashed food for the first 6 weeks; then you can move on to soft solids such as pasta, casseroles, fish or rice dishes. At about 12 weeks, we’ll check your integration, and if all is OK, you can start eating harder foods. Q: My dentist told me I don’t have enough bone to do implants. Can you help? Sandra: Like a lot of dental implant information, this is not invariably true. I have been able to help many patients with meagre bone resources using bone grafting techniques and shorter implants. I also use advanced imaging techniques to make maximum use of existing bone. They are successful and have changed my patient’s lives. Q: How much does an All-on-4 treatment cost to replace all of my upper /lower teeth? Sandra: This treatment varies depending on the complexity of the case and the type of bridge used but ranges from $20,000- 30,000 approximately. Q: Are all patients suitable for implants if they have the necessary bone? Sandra: There are some people who should not have implant-based tooth replacement. These are severely medically compromised patients, people who continue to smoke and people who don’t or will not clean their teeth and come in for regular maintenance and check-ups. If your teeth failed due to neglect we can’t expect your implants will last long term under the same circumstances. You must be committed to maintaining a healthy mouth. Q: How can I contribute to the success of my All on 4? Sandra: Two things can blight an All on 4: failure of the implants to integrate, and gum disorders around the emergence of the implant. To assist integration, we ask you to eat a soft diet for several weeks. To preserve your gums, we will give you a thorough hygiene routine; it’s important that you follow it faithfully. Q: I've lost an upper incisor in a hockey accident. I'd really like to replace it with an implant. How much is it likely to cost to get an implant and a replacement tooth? Sandra: If the neighbouring teeth and gums are sound, and provided you didn’t lose too much bone in the accident, tooth replacement with a single implant-supported crown costs around $5-7,000. Q: If I break a crown on an implant tooth, can it be repaired without further surgery? Sandra: Yes, provided that only the crown is damaged, it can be replaced without disturbing the implant. Q: I've been told I have to wait some time between having the implants and being able to use them. Are there any solutions that give immediate use? Sandra: This is a key area where there’s a lot of misleading dental implant information about. Where bone is adequate, gums are healthy and all the teeth in either the upper jaw or the lower jaw are to be replaced we can do it almost immediately. You will still have to have a soft food diet for 12 weeks. This is not recommended for a single tooth or a small group of teeth because they cannot resist the chewing forces during the healing phase and you would increase the risk of failure if the implant. Usually it takes 4-5 months for the implant to be fused to your bone before safe loading can be achieved. We have temporary teeth that can be used during this time. 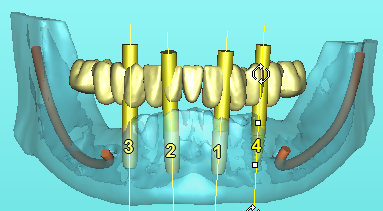 Q: Do I need only 4 implants to restore my whole jaw upper/lower set of teeth? Sandra: You may be suitable for an All-on-4 (Bridge –on-4) permanent denture, provided I see you have enough remaining bone or if I can create enough bone. When teeth are lost, your body stops maintaining the bone that supported them, so that over time the bone disappears. 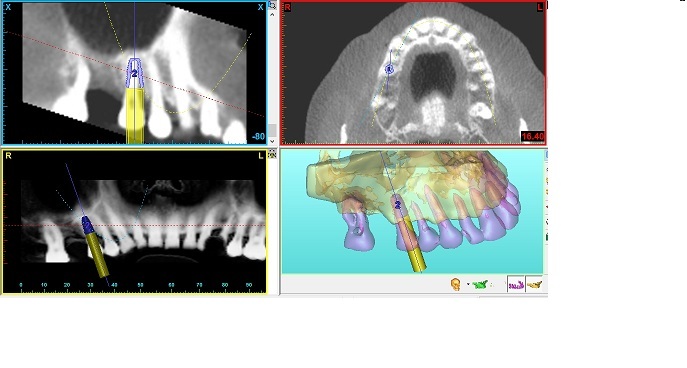 Even if your extractions were some time ago, there's a chance you will have enough remaining bone or I can generate new bone to allow you to have implants. Once you have your implants, they will encourage and stabilise local bone growth as if they were natural teeth. Depending on the quality of the bone, I sometimes use more than 4 implants, to ensure stability, but there's no extra cost to you. Q: How long have you been doing All-on-4 treatments? Sandra: I have about 10 years’ experience with this type of treatment and have done several hundred cases. 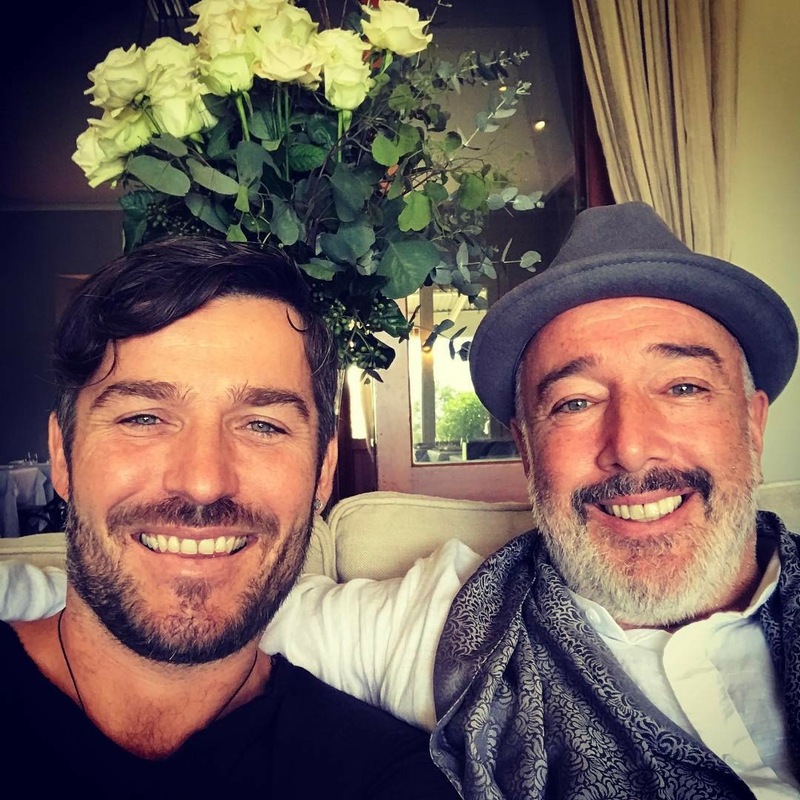 I was one of the first dentists in Australia to apply this technique, and experience has led me to refine aspects of it, in particular using additional implants where necessary to help patients with meagre bone stock enjoy the benefits of a fixed, permanent bridge. I have belonged for many years to the Australian Society of Implant Dentists, the Australian Osteo Integration Society and the International Congress for Oral Implantologists. Q: Will my All on 4 bridge last indefinitely? Sandra: Usually, yes, but there are exceptions. In some cases, a reline is needed because of gum recession. If so, it will be done between 3-12 months after surgery, and will cost $1000.00 per arch. Costs of dental implants? Dental implant information?